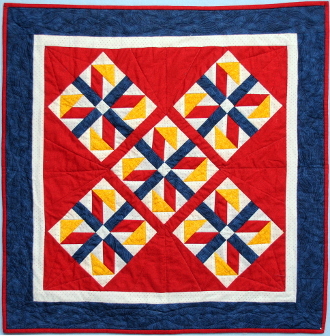 Jack in the Box 28" x 28"
The wall hanging is constructed using a flying geese block and a variation of the flying geese block. There is sashing between the blocks and a corner stone. There are setting triangles and 2 borders.